How to create a fabulous look with simple and casual basics? 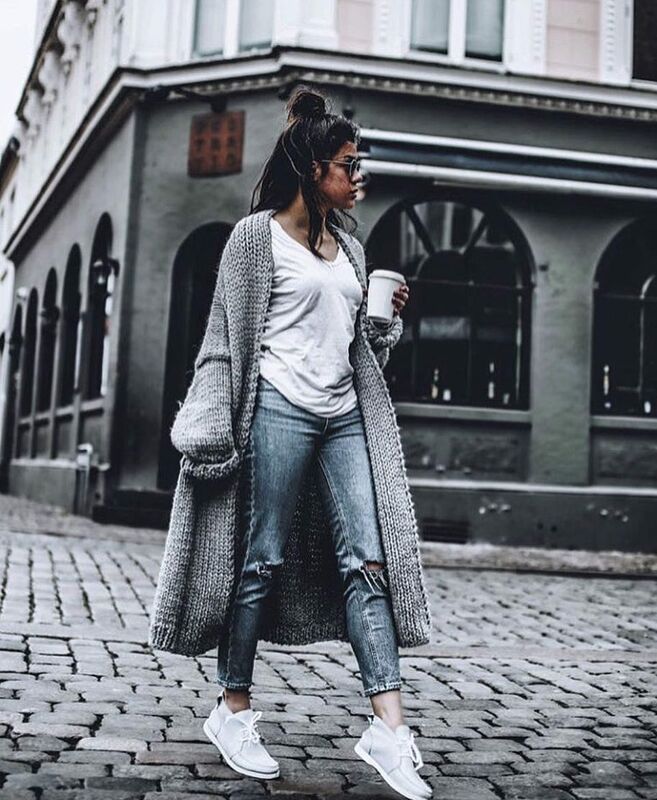 You will need a long oversized knitted cardigan, slouchy white t-shirt, ripped slim jeans and pastel grey chukka sneakers. This outfit reminds me of a lazy day look.